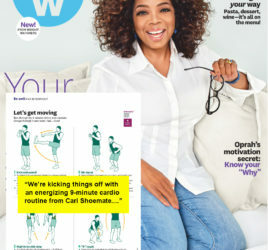 I was recently interviewed by the Houston Chronicle’s Maggie Gordon – on how to to fit in a good workout on your lunch-break. My suggestion was to do your workouts AT work so you can cut down on travel time to/from a gym or class…since most people only have an hour or less for lunch. 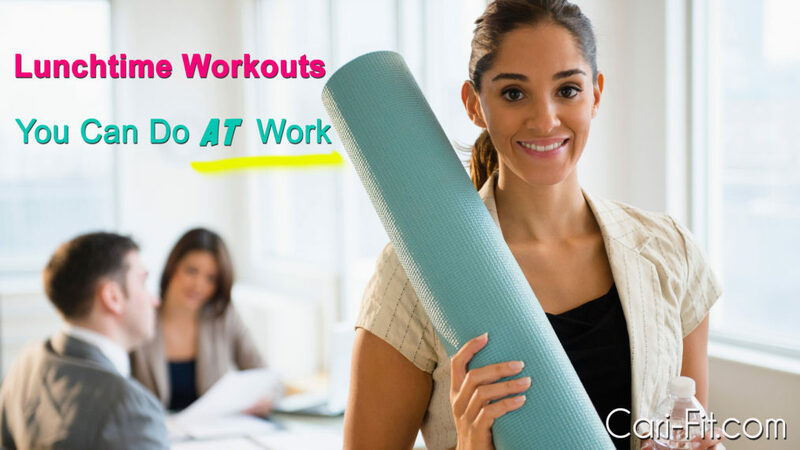 Below are 2 workouts I gave her that you can do in your office. Don’t be scared to do it! If you are shy..the staircase workout is great because you can get a little privacy. But, even better yet – get your coworkers to join you! I’ve also included some of my favorite products I use after my workout to freshen up fast. You can read the Houston Chronicle’s article here. *Alternate running stairs for 3 minutes in between each of these sets. Try to do a fast pace and get your heart rate up. It doesn’t matter how big your staircase is – just do it for 3 minutes. 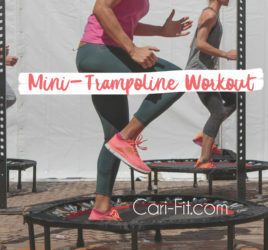 *You can do this workout anywhere in your office – a conference room, break room, the parking garage, out front of your building, etc. The last thing you want to do is slather on foundation when you are still hot and radiating heat. Instead us a tinted moisturizer to keep your glow going. I like Aveeno tinted moisturizer and Tarte (I’m a big fan of all of their products). For hair I usually wear it in a loose bun and then after I spray it with a beach wave spray. It acutally works good if your hair is a little wet or sweaty. I love this one form Oribe. I also like dual bronzer and blush in one so that I don’t have to spend time searching for 2 products. I like Benefit “Dallas” (it’s blush/bronzer in one product) and then my travel size Nars multiple with bronzer/blush. BB cream stick (easy to apply on the go – got mine at Target). LOVE this mini brush by Sephora (I have thick long hair and it works).